If you’re looking for a small and lightweight wide-angle zoom lens for your full-frame camera, Tamron’s new 17-35mm f/2.8-4 Di OSD could be the answer. 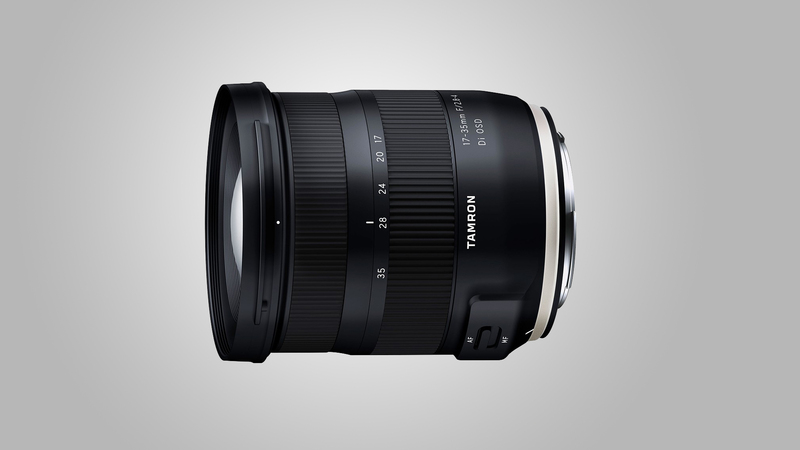 Tamron already produces a large and fast SP 15-30mm f/2.8 Di VC USD, but this new lens is a much more compact alternative, measuring just 90mm (3.5 inches) and tipping the scales at 460g (16.2oz). It doesn’t quite offer the same constant f/2.8 maximum aperture as its larger sibling, but it does have a respectable variable maximum aperture of f/2.8-4. The Tamron 17-35mm f/2.8-4 Di OSD also has a moisture-resistant construction, with seals on the lens mount area and other critical locations. There’s also a Fluorine coating on the front element that has excellent water- and oil-repellant qualities, while the coating is also easy to wipe clean. The Tamron 17-35mm f/2.8-4 Di OSD will be available in Nikon mount from September 4, with a suggested retail price of $599 (UK and Australian pricing is still to be confirmed). The launch of a Canon mount model will be announced at a later date, while we’d expect to see a Sony mount version at some point too.